The Honor 8C has been listed by the Huawei sub-brand, complete with its spec sheet. Honor’s new phone will pack a Snapdragon 632 chipset, 4GB of RAM, and up to 64GB of storage. The phone also delivers a 4,000mAh battery, and a 13MP+2MP rear camera combo. 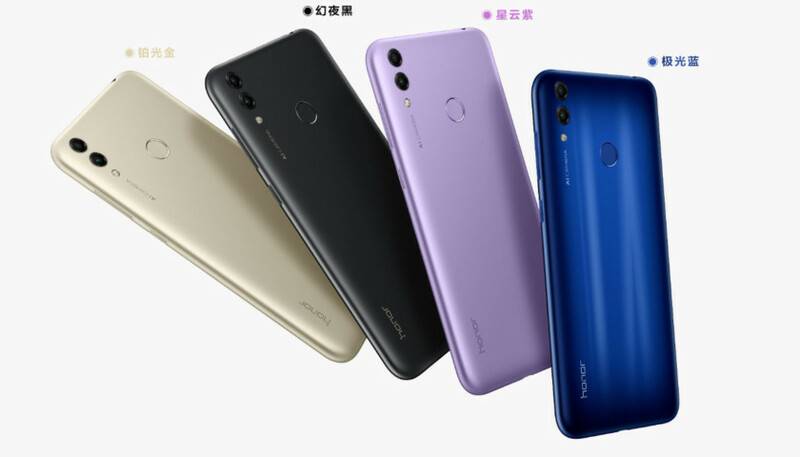 The Honor 8C is the latest in the sub-brand’s series of affordable phones, and the company has revealed specifications ahead of its official launch event. The spec sheet, spotted on the Honor website by PhoneArena, shows it could be the first phone with a Snapdragon 632 chipset. This processor, announced back in June, is positioned as a successor to the Snapdragon 625 and 626. Qualcomm’s Snapdragon 632 differs from the previous chips by offering eight semi-custom Kryo 250 cores (four efficiency cores and four heavyweight cores). By comparison, the Snapdragon 625, 626 and 630 sport older Cortex-A53 cores. The new chip also offers support for Qualcomm’s AI tools, although it doesn’t have dedicated AI silicon. The addition of 4GB of RAM and 32GB/64GB of expandable storage means you’ve got a pretty capable package for an Honor C series phone. But the phone also packs other welcome features, such as a 4,000mAh battery, a 13MP (f/1.8) and 2MP rear camera pairing, and an 8MP selfie snapper. Looking at the rest of the spec sheet, we’ve got a notched, 6.26-inch 720p display, a rear fingerprint scanner, 3.5mm jack, microUSB connectivity, Android 8.1, and EMUI 8.2. Pricing is one big mystery, but the Honor 7C launched at 899 yuan (~$130), so we’d expect a broadly similar pricing window. The phone will reportedly debut on October 11, which would indeed make it the first Snapdragon 632 device if another company doesn’t beat them to the punch this week. Are there any other great low-end smartphones worth buying? Sound off in the comments below!